An intimate hideaway deep in the valley of the fabled Tjampuhan river, Pita Maha Resort & Spa is centred around a breathtaking unrivalled spa, a perfect location for couples of all ages. This amazing Bali accommodation is the perfect place to base a relaxing getaway while travelling through Bali. This is an advance purchase special and must be booked at least 60 days prior to check-in. Pita Maha Resort & Spa is located in a secluded area of the Tjampuhan valley, overlooking the river, lush rice terraces and tropical forest. 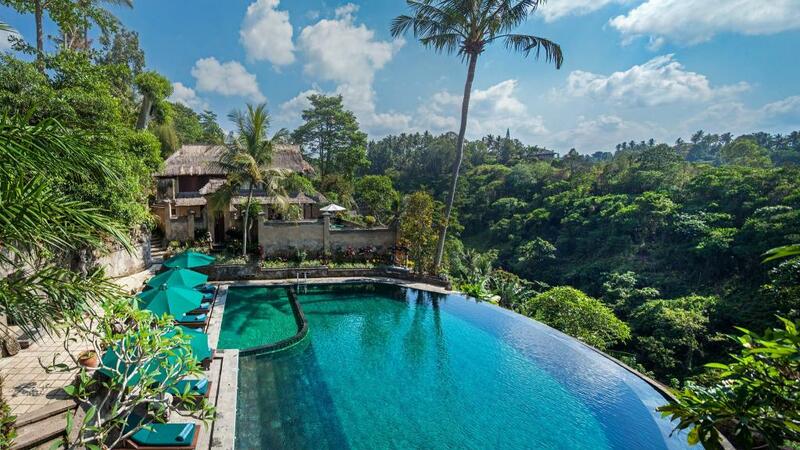 This Bali accommodation offers individual villa accommodation in private enclosed gardens, many with a private plunge pool. This Bali accommodation is perfect for a relaxing getaway or tranquil family holiday.